Steam iron cleaners are commercially-available solutions used to clean steam irons that are clogged or coated with hardwater deposits. A homemade preparation consisting of water and vinegar may also be used, for such a cleaning purpose. Steam Iron Cleaner Poisoning is the accidental or intentional intake of steam iron cleaning solutions. An exposure can also take place when the compound inadvertently affects the skin or eyes. What is Steam Iron Cleaner Poisoning? What are the Causes of Steam Iron Cleaner Poisoning? What are the Signs and Symptoms of Steam Iron Cleaner Poisoning? How is First Aid administered for Steam Iron Cleaner Poisoning? Who should administer First Aid for Steam Iron Cleaner Poisoning? 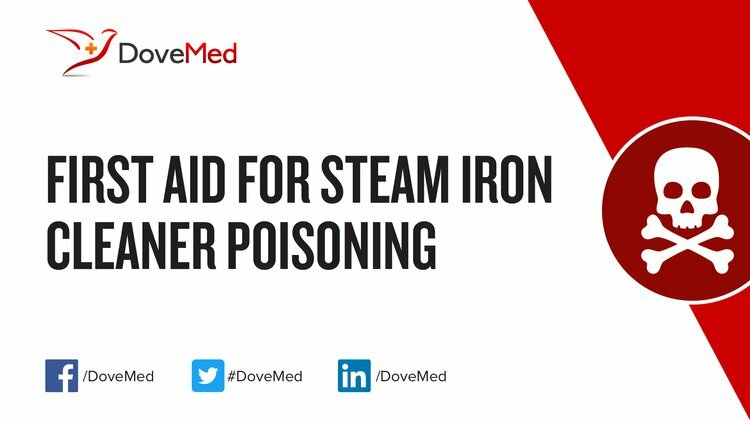 First aid for Steam Iron Cleaner Poisoning is administered by healthcare professionals. What is the Prognosis of Steam Iron Cleaner Poisoning? How can Steam Iron Cleaner Poisoning be Prevented? Žibret, G. (2012). Impact of dust filter installation in ironworks and construction on brownfield area on the toxic metal concentration in street and house dust (Celje, Slovenia). Ambio, 41(3), 292-301. Jomova, K., & Valko, M. (2011). Advances in metal-induced oxidative stress and human disease. Toxicology, 283(2), 65-87. Plou, J., Durán, P., Herguido, J., & Peña, J. A. (2015). Hydrogen from synthetic biogas by catalyzed MDR and SIP: Screening of catalyst and iron oxide mixtures. Fuel, 140, 470-476. Callaghan, B., Feldman, D., Gruis, K., & Feldman, E. (2011). The association of exposure to lead, mercury, and selenium and the development of amyotrophic lateral sclerosis and the epigenetic implications. Neurodegenerative Diseases, 8(1-2), 1-8. Sinicropi, M. S., Amantea, D., Caruso, A., & Saturnino, C. (2010). Chemical and biological properties of toxic metals and use of chelating agents for the pharmacological treatment of metal poisoning. Archives of toxicology, 84(7), 501-520. Riddick, J. (2014). Hazards of sulphuric acid. Loss Prevention Bulletin, (236). Flora, S. J., & Pachauri, V. (2010). Chelation in metal intoxication. International journal of environmental research and public health, 7(7), 2745-2788.